Email can be a slippery beast, and one thread of messages Gizmodo recently received—seemingly by mistake—has given us a window into how Microsoft prepares its employees for the apparently terrifying prospect of talking to the press. The emails, which were sent to Gizmodo Tuesday afternoon, appear to show several high-level Microsoft executives discussing how they plan to roll out a new Skype bot announcement today—and more specifically, how they intend to incorporate a reporter into these plans. Among other things, the email thread features a one-and-a-half page dossier on Mark Sullivan, a senior writer for Fast Company. According to the emails, Microsoft had apparently initially pitched an interview with Gurdeep Singh Pall, a corporate vice president who focuses on Skype, to Wired, but the outlet “passed due to scheduling,” so the company went with TechCrunch and Fast Company instead. Congratulations, everyone. Oh, and then there’s this tidbit: “Off the record, he finds Facebook bots to be boring and not very smart.” Better luck next time, Zuck. Besides the dossier, the emails contain your standard corporate communications goings-on: There’s some back and forth on the wording of the blog posts announcing the news, a bit of discussion on the broader purpose of the releases, and some details on the timing. The person who sent the errant email declined to comment further, and referred us to Microsoft’s statement. 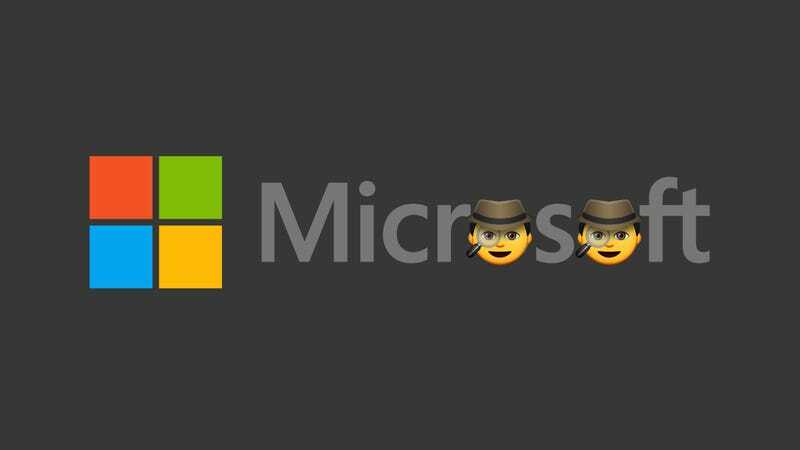 Now, of course, we can’t help but wonder: What’s in Microsoft’s dossier for Gizmodo? Update: Incredibly, this isn’t Microsoft’s first time at the dossier rodeo. As Erik Malinowski points out on Twitter, the company made a similar mistake in 2007—and Wired promptly wrote it up.